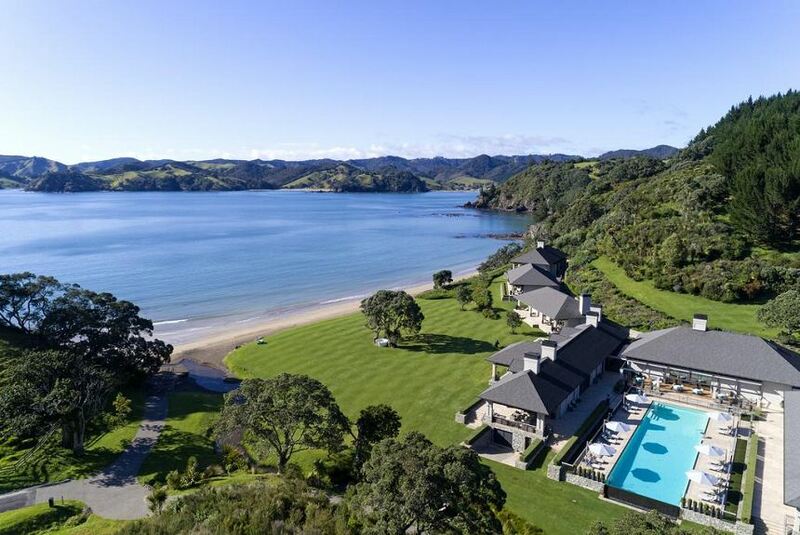 Situated in Helena Bay on New Zealand's North Island, Helena Bay Lodge features three kilometres of pristine coastline and four private beaches. This property features a spa experience, with its spa centre, sauna and fitness centre. The resort offers sea views and an outdoor pool. The rooms are fitted with a flat-screen TV with satellite channels, fridge, a coffee machine, a bidet, free toiletries and a wardrobe. The private bathroom is fitted with a hair dryer. All rooms feature a seating area.Helena BayLodge features a restaurant which incorporates the age-old traditions of Sorrento and the Amalfi Coast. Guests can enjoy ‘Estate to Plate’ cuisine, with menus changing daily.The property offers a wide range of activities including kayaking, fishing, farm tours and bicycles. The 800 acres combine a mix of forestry and open paddocks and with miles of tracks, there is plenty to explore. Paihia is 68 km from the accommodation. The nearest airport is Bay of Islands Airport, 81 km from Bay.